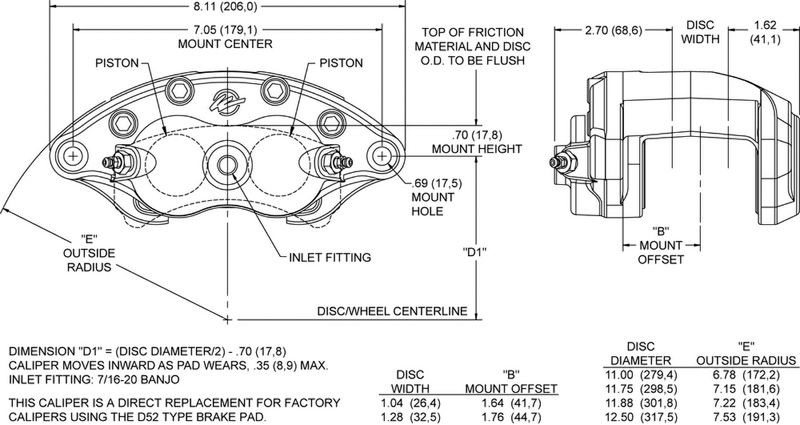 The D52 caliper is a direct bolt-on 2 piston replacement for the factory original single calipers on many 1968-96 GM Passenger Vehicles and Trucks. Forged billet aluminum bodies, stainless steel pistons, and competition style high-temperature seals put and end to the rust, bore pitting, and seal failures that plague the OE caliper design. D52 calipers provide low-maintenance performance and a huge weight savings with high temperature reliability for the street and track. 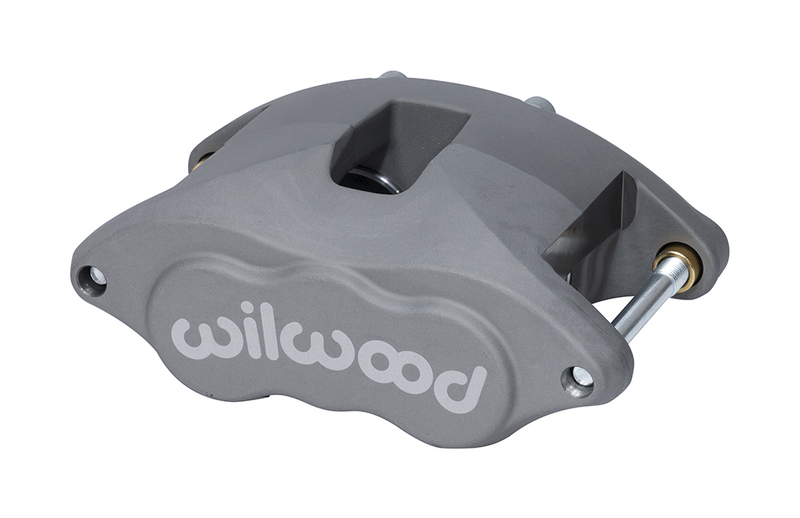 D52 calipers mount in the stock location over stock rotors, use the original style OE D52 brake pads and an OE 7/16-20 banjo bolt brake line. 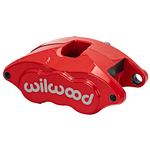 Calipers can be used with most wheels that clear the OE calipers. The rear calipers with 1.25” piston provide 2.46 cubic inches of piston area per caliper, to maintain the original front to rear brake bias and use of the OE master cylinder. D52 Calipers come hardened slide pins.